A team of officials on Saturday (Sept 23) examined 18 resorts in Chiang Mai province to find out if they have encroached on Mae Tha Chang and Mae Khanin forest reserves. The team, comprising military, police and administrative officials and local leaders, was was led by Cholathis Suraswadi, director-general of the Royal Forest Department. Mr Cholathis said in the team found 18 resorts and other constructions in a total of about 144 rai land suspected to have encroached on Mae Tha Chang and Mae Khanin forest reserves in tambon Nam Phrae of Hang Dong district, the authorities. The resort operators showed land title deeds, Nor Sor 3 documents, and documents for land use issued under a cabinet resolution of June 30, 1998. The land title deeds and Nor Sor 3 documents will be sent for the Royal Forest Department to check whether they had been legally issued. As for the documents for land use, they will be examined to see if the names of the occupants have been changed and if the land has been used as originally intended for. Cheewaparp Cheewatham, leader of a Payak Prai unit of the Royal Forest Departmnt, said officials will examine four spots to see if the forests there have been deteriorated. They are four spots in Chiang Dao forest, two in Mae Fang forest and one each in Mae Khan and Mae Wang forests. 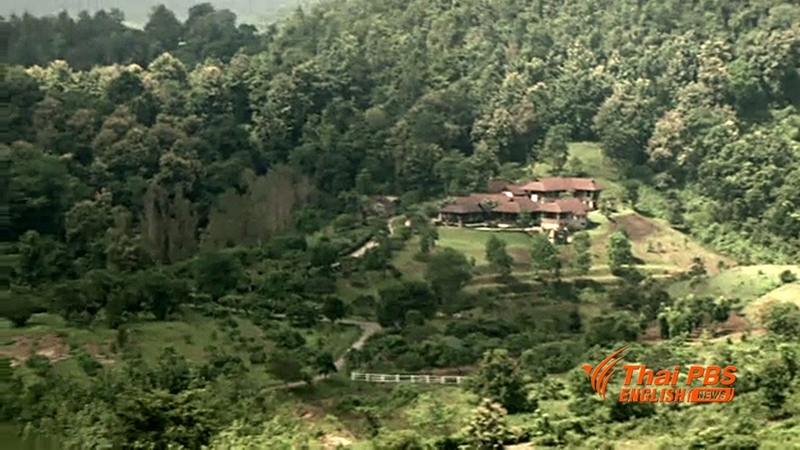 Chiang Dao forest in Chiang Mai’s Wiang Haeng district is the first to be examined. Atthapol Charoenchansa, deputy director of the Royal Forest Department, said that 12 adventure zip-line services in Chiang Mai have been closed for checks after being suspected to have encroached on national forest reserves. They are Skyline Adventure, Dragon Flight Chiang Mai Zip-line, Jungle Flight Chiang Mai, Flight of the Gibbon; The Giant Chiang Mai, Thai Jungle, Flying Squirrel Chiang Mai, Mae Chaem Zip-line, Zip-line Chiang Mai; Tarzan Canopy, Pang Chang Kaeng Keet, and Skytrek Adventure. Six have been charged with encroachment and two of them have been dismantled; documents of five others are being checked; and one – Flight of the Gibbon – is also being checked as it is located in 23-rai land in Mae On forest reserve at Ban Mae Kam Pong in Chiang Mai.